Jurisdiction of the metropolitan see within the Philippines. The Roman Catholic Archdiocese of Manila (Latin: Archidioecesis Manilensis; Filipino: Arkidiyosesis ng Maynilà; Spanish: Arquidiócesis de Manila) is the archdiocese of the Latin Rite of the Roman Catholic Church in Metro Manila, Philippines, encompassing the cities of Manila, Makati, San Juan, Mandaluyong, and Pasay (except Villamor Air Base and Newport City, which belong to the jurisdiction of the Military Ordinariate of the Philippines). The current Archbishop is Luis Antonio Gokim Cardinal Tagle, D.D., S.Th.D, the 32nd to hold the office and the fifth native Filipino following centuries of Spanish, American, and Irish predecessors. The Virgin Mary as the Immaculate Conception, patroness of the Archdiocese. Consecrated by Pope Pius XII's Papal Bull Impositi Nobis in 1942, the Immaculate Conception is also honoured as "Principal Patroness" of the Philippine Islands. The cathedral church is a minor basilica located in Intramuros, which comprises the old city of Manila. The Blessed Virgin Mary, under the title Immaculate Conception, is the principal patroness. The archdiocese also owns and manages the following institutions located outside its own territorial jurisdiction: Mount Peace Retreat House (in Baguio City, Benguet), Saint Michael Retreat House (in Antipolo City, Rizal), Radio Veritas (in Barangay Philam, Quezon City; which is under the jurisdiction of the Diocese of Cubao, and EDSA Shrine or the Archdiocesan Shrine of Mary, Queen of Peace (in Barangay Ugong Norte, Quezon City). Per the efforts of conquistador Martín de Goiti—who founded the City of Manila by uniting the dominions of Sulayman III of Namayan, and Sabag, Rajah Ache Matanda of Maynila, who was a vassal to the Sultan of Brunei, and Lakan Dula of Tondo who was a tributary to Ming Dynasty China — the Diocese of Manila was established on February 6, 1579 through the Papal bull Illius Fulti Præsidio by Pope Gregory XIII, encompassing all Spanish colonies in Asia as a suffragan of the Archdiocese of Mexico. Fray Domingo de Salazar, a Dominican from the Convent of San Sebastian in Salamanca, Spain, was selected by King Philip II of Spain to be bishop of the new diocese and was presented to the pope. Over the course of history and growth of Catholicism in the Philippines, the diocese was elevated and new dioceses had been carved from its territory. On August 14, 1595, Pope Clement VIII raised the diocese to the status of an archdiocese with Bishop Ignacio Santibáñez elevated as its first archbishop. Three new dioceses were created as suffragans to Manila: Nueva Cáceres, Nueva Segovia, and Cebu. With the creation of these new dioceses, the territory of the archdiocese was reduced to the city of Manila and the adjoining civil provinces in proximity including Mindoro Island. It was bounded to the north by the Diocese of Nueva Segovia, to the south by the Diocese of Cebu, and to the southeast by the Diocese of Nueva Cáceres. Interior of the Throne Room in the Archbishop's Palace as it was during the Spanish colonial period. During the Hispanic period, the Archdiocese was ruled by a succession of Spanish and Latino archbishops. The British occupation of Manila during the Seven Years' War saw the temporary conversion of Sultan Azim ud-Din I of Sulu to Catholicism, the massive looting and destruction of ecclesiastical treasures, as well as the burning of churches by British soldiers, Sepoy mercenaries and rebellious Chinese residents in Binondo. This episode was particularly damaging to Philippine scholarship due to the fact that the monasteries holding the archives and artifacts about the precolonial Philippine Rajahnates, Kedatuans, Sultanates, Lakanates and Wangdoms and their conversion to Catholicism; were either burnt, lost or looted by the British. An example of which would be the Boxer Codex, whose earliest owner Lord Giles of Ilchester, had inherited it from an ancestor who stole it from Manila during the British Occupation. Nevertheless, peace was subsequently restored after the Protestant British occupation. In the time after this, the Catholic religious orders (with the exception of the Jesuits who were temporarily suppressed by the Spaniards due to their role in anti-imperialist movements in Latin America) became the powerful driving force in the Archdiocese of Manila. The local diocesan clergy resented the foreign religious orders due to their near monopoly of ecclesiastical positions. The opposition of the religious orders against an autonomous diocesan clergy independent of them lead to the martyrdom of priests Mariano Gómez, José Burgos, Jacinto Zamora collectively known as Gomburza. This inspired the Jesuit educated Jose Rizal to form the La Liga Filipina, to ask for reforms from Spain and recognition of local clergy. Rizal was executed and the La Liga Filipina dissolved. The 1896 Philippine revolution was triggered when the Spanish discovered the anti-colonial secret organisation Katipunan, and ended Spanish rule. The United States took the Philippines from Spain in the 1898 Spanish–American War; this developed into fighting between the Philippine revolutionaries and the U.S. in the 1899–1902 Philippine–American War, followed by victory for the U.S. and disestablishment of the Roman Catholic Church as the state church of the Philippines. In the period after the war, Philippine churches were restored in the Art-Deco architectural motif. There was a looming threat of apostasy and schism with the rise of anti-clerical Philippine Freemasonry and the establishment of the Philippine Independent Church due to Filipino anger against Spanish ecclesiastical corruption. In response, the Vatican supported Philippine independence and applied a policy of reinforcing orthodoxy and reconciliation which resulted in the majority of the Filipinos remaining faithful to the Roman Catholic Church and having a good number of those separated from the Church, grafted back. 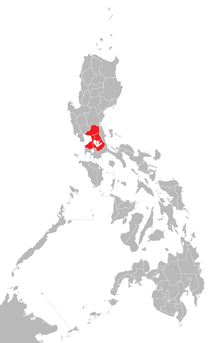 The province of Mindoro was established as an independent diocese on April 10, 1910 by virtue of a Decretum Consistoriale signed by Pope Pius X, implementing the Bull Quae Mari Sinico of Pope Leo XIII. On the same date, the Diocese of Lipa was created, with jurisdiction over the provinces of Batangas, Tayabas, Marinduque, and some parts of Masbate. In May 1928, Pope Pius XI established the Diocese of Lingayen, carved from Manila and Nueva Segovia. In this creation 26 parishes were separated from Manila. He also named Our Lady of Guadalupe as a patroness of the Filipino people in 1938. December 8, 1941 marked the beginning of the Japanese occupation of the Philippines. Members of the secretive Black Dragon Society had infiltrated all facets of Philippine life and had greatly guided the invading Japanese forces. World War 2 marked a period of irreplaceable loss to the Archdiocese of Manila. The combination of violent theft and arson done by the Japanese and the indiscriminate carpet bombing perpetuated by the Americans during the Battle of Manila (1945) lead to the permanent loss of many of the ancient Gothic, Art-Deco, and Earthquake Baroque churches found in the Archdiocese of Manila. In the aftermath of the war, in September 1942, Pope Pius XII declared Our Lady of Immaculate Conception as the Principal Patroness of the Philippines by virtue of the Papal Bull, Impositi Nobis, along with Saints Pudentiana and Rose of Lima as secondary patrons. Due to the heavy damages resulted from World War II, the Manila Cathedral underwent major rebuilding from 1946 to 1958. The Parish of San Miguel served as pro-cathedral or temporary cathedral of the local church until the Manila Cathedral was reopened and consecrated in 1958. On December 11, 1948, the Apostolic Constitution Probe Noscitur further divided the Archdiocese of Manila by placing the northern part of the local church in the new Diocese of San Fernando. On November 25, 1961, the Archdiocese of Manila was again partitioned with the creation of the Diocese of Malolos for the province of Bulacan in the north and the Diocese of Imus for the province of Cavite in the south. Pope John Paul II declared the Manila Cathedral a minor basilica in 1981 through a Motu Proprio Quod Ipsum. In 1983, the province of Rizal, together with the city of Marikina and the northeastern part of Pasig, was placed under the new Diocese of Antipolo. The archdiocese witnessed many grace-filled church events such as the Second Synod of Manila (1911), the Third Synod of Manila (1925), the 33rd International Eucharistic Congress (1937), the First Plenary Council of the Philippines (1953), the papal visit of Pope Paul VI (1970), the Fourth Synod of Manila (1979), the papal visits of Pope John Paul II (the first in 1981 and the second in 1995), the National Marian Year (1985), the National Eucharistic Year (1987), the Second Plenary Council of the Philippines (1991), the Second Provincial Council of Manila (1996), the 4th World Meeting of Families (2003), and the papal visit of Pope Francis (2015). In 2002, two more dioceses were carved out of the Archdiocese: the Diocese of Novaliches and the Diocese of Parañaque. In 2003, three more dioceses were erected: Cubao, Kalookan, and Pasig. The seat of the Archbishop is in the Manila Cathedral, under the patronage of the Our Lady of the Immaculate Conception. After having been served by a single diocesan bishop, nineteen archbishops were later appointed from Spain. In 1903, the archdiocese received its first American archbishop as appointed by the Holy See. Following the tenure of Archbishop Jeremiah James Harty from St. Louis, Missouri, the Irishman Michael J. O'Doherty was appointed and received on September 6, 1916. O'Doherty would lead the church in times when the Filipinos were petitioning for sovereignty from the United States and the Japanese Occupation of the Philippines during World War II. When O'Doherty died after Philippine independence in 1946, Most Rev. Gabriel M. Reyes, already serving as coadjutor archbishop, became the first native Filipino chosen for the position. Reyes' successor, Archbishop Rufino Jiao Santos, became the first Filipino to become a cardinal in 1960. After Santos' death in 1973, Auxiliary Bishop Artemio Casas was named in the capacity of vicar-capitular (presently termed as Apostolic Administrator) to oversee the archdiocese until a bishop was officially named. On January 21, 1974, Pope Paul VI appointed then-Archbishop of Jaro Jaime Sin as the 30th Archbishop of Manila. Archbishop Sin was named cardinal in 1976. In 2003, after undergoing juridical changes, the archdiocese received Gaudencio Rosales, Archbishop of Lipa, as successor to Cardinal Sin. Pope Benedict XVI later elevated Rosales to the cardinalate on March 24, 2006. On October 13, 2011, Luis Antonio Gokim Tagle, then Bishop of Imus, was named archbishop and was later made a cardinal by Benedict XVI on November 24, 2012. Below are member priests of the College of Consultors of the Archdiocese of Manila since July 1, 2015. Auxiliary bishops also serve as vicars general. Auxiliary Bishop, Vicar-General, and Episcopal Vicar for Guest Priests – Most Rev. Broderick S. Pabillo, D.D., S.S.L. Vicar-General and Moderator Curiae – Rev. Msgr. Jose Clemente F. Ignacio, P.C. Episcopal Vicar for the Diocesan Clergy – Rev. Msgr. Jesus-Norriel Bandojo, P.C. Episcopal Vicar for Foreign Communities Concern – Rev. Msgr. Esteban U. Lo, LRMS, P.C. Judicial Vicar – Rev. Msgr. Geronimo F. Reyes, P.C., J.C.D. As of 2004, the archdiocese has registered a total of 2,719,781 baptized faithful. They are served by 475 diocesan and religious priests – with a ratio of 5,725 faithful per priest, under 85 parishes. The archdiocese also houses 369 male religious and 1,730 female religious engaged in various social, pastoral and missionary works in various areas of the archdiocese. The archdiocese administers San Carlos Seminary, the archdiocesan major seminary which caters to the formation of future priests for the archdiocese and for its suffragan dioceses. Located in Guadalupe Viejo, Makati City, it has pre-college program (Senior High School and Formation Year), college program (A.B. Philosophy), and graduate school (Master's program in theology or pastoral ministry), as well as formation houses for future priests committed to serve the Filipino-Chinese communities in the country (Lorenzo Ruiz Mission Society) and a center for adult vocations (Holy Apostles Senior Seminary). The archdiocese also operates Our Lady of Guadalupe Minor Seminary for young men at the secondary school level. It is located a few blocks from San Carlos Seminary. Below is the list of 86 parishes of the Archdiocese of Manila, clustered into thirteen vicariates (as of December 2018 - arranged from the central and then from north to south). Rector: Rev. Fr. Reginald R. Malicdem, M.A.L., M.A. Rector and Parish Priest: Rev. Fr. Wilmer R. Rosario, M.A., J.C.D. Parish Priest: Very Rev. Geronimo F. Reyes, PC, J.C.D. Parish Priest: Rev. Fr. Prudencio T. Solomon, Jr., M.A. Pastor: Rev. Fr. Juanito C. Arroco, Jr. The twin churches of Sampaloc (Our Lady of Loreto Archdiocesan Shrine and Parish, left, and St. Anthony Archdiocesan Shrine and Sanctuary, right). The only Catholic Church in the Philippines facing another Catholic Church. Parish Priest: Rev. Fr. Royce Andres M. Quintillan, OFM Cap. Parish Priest: Rev. Fr. Reynante Sentillas, M.I. Chaplain: Rev. Fr. Rufino C. Sescon, Jr.
Parish Priest: Rev. Fr. Alexander O. Thomas, M.A. Parish Priest: Very Rev. Roberto A. Espenilla, PC, M.A. Herbermann, Charles, ed. (1913). "Archdiocese of Manila" . Catholic Encyclopedia. New York: Robert Appleton Company. Gregory XIII, Pope, 1502–1585. "Bull for erection of the Diocese and Cathedral Church of Manila." In The Philippine Islands, 1493–1898. Cleveland, Ohio: A.H. Clark Company, 1903-9. Vol. 4, 1576–82. Pp. 119–124. ^ a b "Officials". The Roman Catholic Archdiocese of Manila Official Website. Retrieved on 2013-03-22. ^ "History – the First Cathedral 1581–1583. Manila Metropolitan Cathedral-Basilica Official Website. Retrieved on 2013-03-22. ^ "History – The Second Cathedral 1591-1600". Manila Metropolitan Cathedral-Basilica Official Website. Retrieved on 2013-03-22. ^ Roces 1977, p. 1004. ^ The Philippine Independent Church does not subject its episcopal authority to the Bishop of Rome or to any other Popes prior to First Vatican Council. ^ MacArthur General Staff (1994). "The Japanese Offensive in the Philippines". Report of General MacArthur: The Campaigns of MacArthur in the Pacific Volume I. GEN Harold Keith Johnson, BG Harold Nelson, Douglas MacArthur. United States Army. p. 6. LCCN 66-60005. Retrieved 24 March 2013. ^ Pope Pius XII (1942). 34  - ocr.pdf "Acts of the Apostolic See – Insularum Philippinarum Beatissima Virgo Maria Titulo Immaculata Concepto Primaria Universalisque Patrona et Sanctae Virgines' Pudentiana ac Rosa Limanae Patronae Secundarias Declarantur", pp. 336–337. Vatican Archives. Retrieved on 2013-03-22. ^ Palad, Carlos Antonio (2011-12-12). "The 32nd Archbishop of Manila". Filipino Catholicism. Retrieved on 2013-03-22. The following are not technically dioceses but function as such.